We talk to Spanish duo Brosmind about comics, branding wheelchair covers and giant hungry robots. 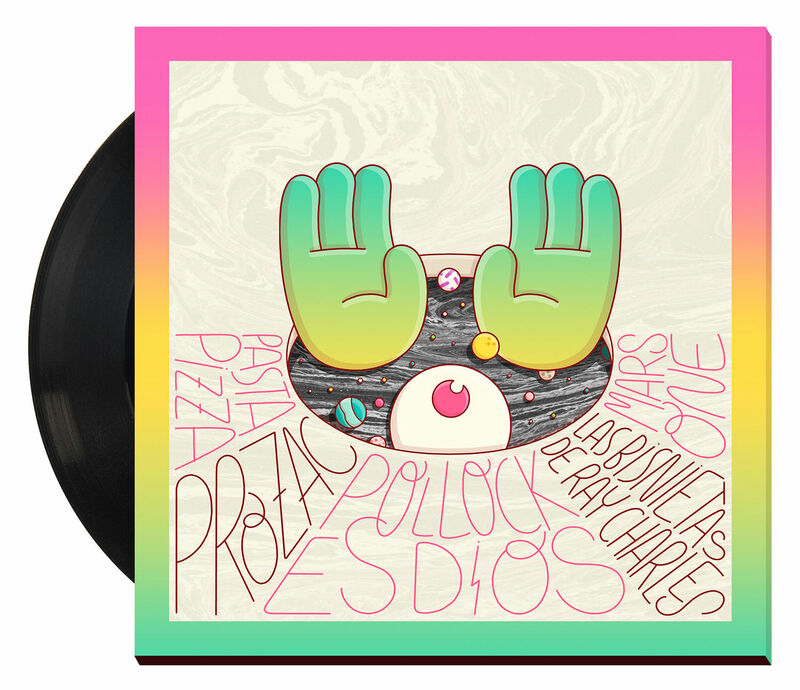 Brosmind know how to celebrate their work in style, whether releasing massive monographs of their work or giving unique masterclasses that are more surreal than sober. 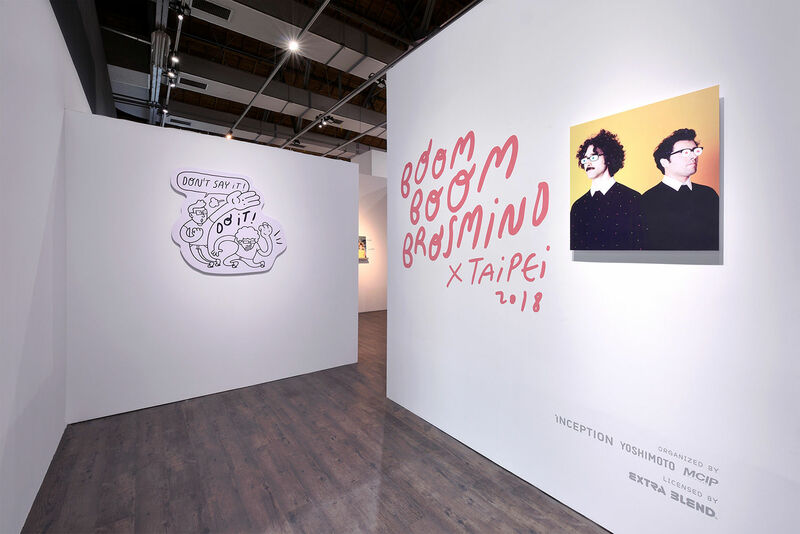 Their most recent retrospective Boom Boom Brosmind happened all the way out in Taipei, Taiwan and saw brothers Juan and Alejandro Mingarro put on a show that consisted of more than punters appreciating their work with a stroke of the chin. "Every time we do an exhibition we try to break the boundaries between the audience and the artworks," the brothers tells us in an email interview for Digital Arts. "We want people to feel part of the show, so we want to transport them into our universe though interaction. 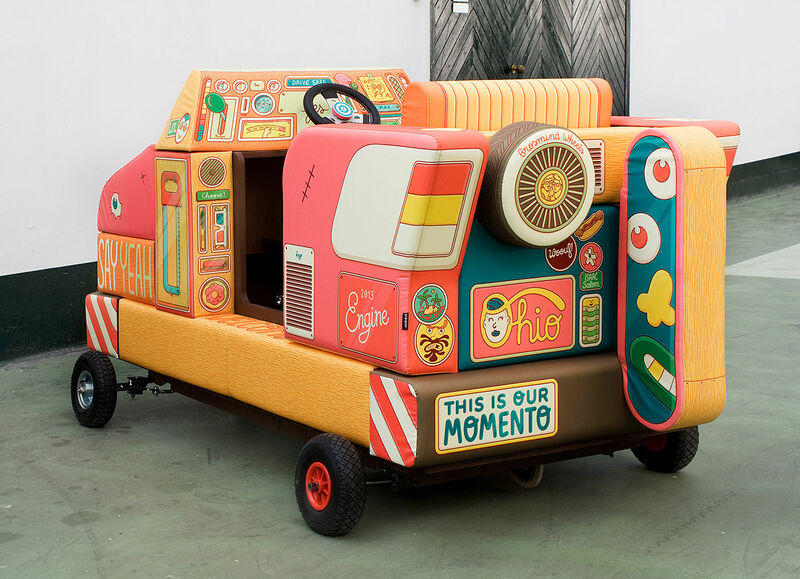 "In order to create that dialogue with the audience we brought to Taipei some already existing interactive pieces like our motorbikes and video games, but also created some new ones. One of the most successful pieces was a huge sandwich where people could become one of the ingredients, and become an offering to a huge robot we also built." Such inventiveness shouldn't be a surprise for anyone who's been following the brother's free-spirited body of work, and reaching out to the brothers we caught up about their very varied commissions. The brothers responded as a single entity, two brains united as Brosmind. But what does each Bro bring to the table on a project exactly? "When we started working together we developed a new method, combining our previous drawing skills and learning from that in which the other was best," the brothers respond. "Today we have exactly the same working style, which allows us to create the pencil artwork together, working on the same canvas. That's the most important stage of the process, where we define the idea and composition. After that, we specialise for the next stages, with Juan being in charge of the inking and Alejandro of applying the colour." The same working style then, but the brothers' work has kept evolving over the years, even if this hasn't been in the field of ideas as such, as they explain. 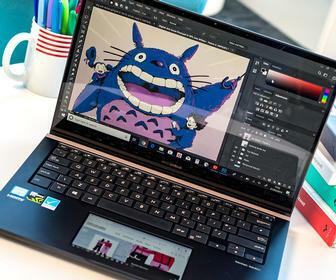 "It definitely has been an evolution, but in the technical aspects only. We became illustrators by chance, so we had to improve techniques on the go. Our first drawings looked messier, the lines were more shaky and insecure, and the use of colour was very basic, using just different shades of a same colour. "Over the years our tracing has become more perfect, the finishings better, the compositions more well balanced, and especially our palette has evolved into a much more colourful combination of colours, which is one of our distinctive characteristics. In terms of complexity," they continue, "some of our first pieces were extremely busy. We feel that now we can express our ideas in a more accurate and effective way, using simpler and cleaner compositions." 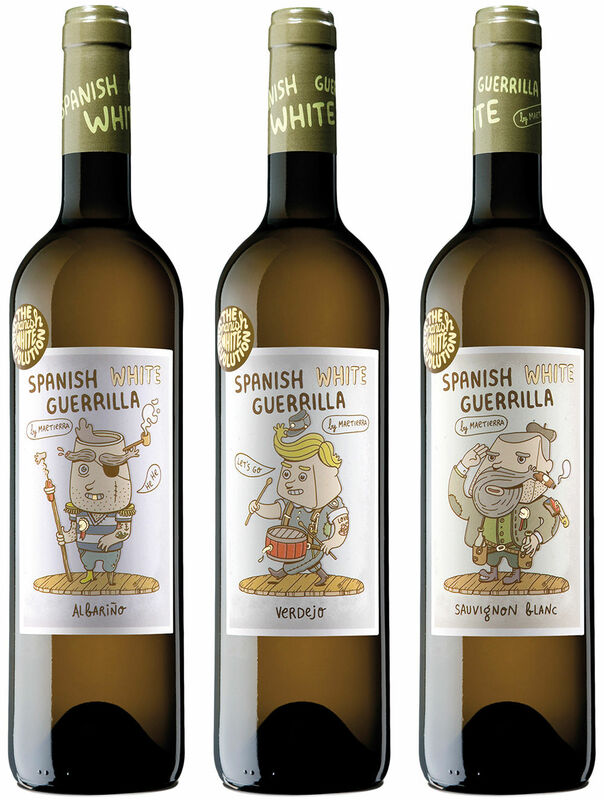 A good example of this simplicity is the brothers' work on designing labels for wine brand Spanish White Guerilla all the way back in 2010. Pretty pioneering stuff, considering the trend for goofy and illustrative alcoholic labelling has only risen in recent years with the advent of craft beer and more adventurous marketing from spirit brands. "You're correct, back in the day that was not very conventional," the brothers agree, "at least for the wine industry in Spain which is really traditional. Luckily, there were some graphic design studios trying to change that, proposing riskier designs to smaller (and younger) companies. In the case of the White Guerrilla project, the real pioneers were Moruba, a graphic design studio from Logroño. They had a long experience working for the wine industry, and they wanted to demonstrate that stepping out of the tradition was a good idea. "For us it was an interesting period. We were in the midst of conflicting opinions. Some people though the industry was getting more modern and that would make these brands reach a bigger audience. Others thought these kind of labels involving cartoonish illustrations made the product look cheaper or less serious." 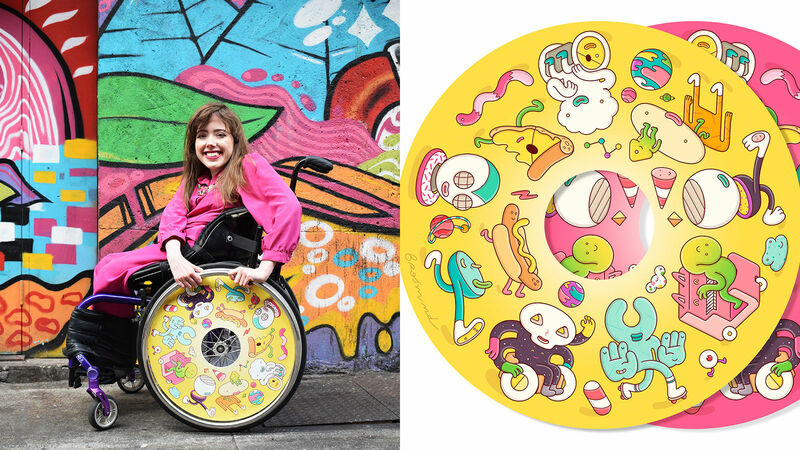 A more recent example of the brothers' adventurous commissions are the wheel covers produced for Ireland-based brand Izzy's Wheels, designing fun covers for wheelchair users. Interestingly, this was something else that had the sibling magic about it. "The sisters Ailbhe and Izzy contacted us by email and explained their awesome project," the bros explain. "We just couldn’t say no as we totally loved it. 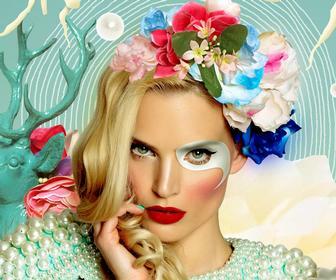 We do a lot of commercial illustration for magazines, billboards, posters and its easy ending up a little bit frustrated because working in this kind of media, the interaction with the audience is too fast. As we said before, our goal is to create a dialogue with people, and projects like Izzy Wheels allow you to do that. Someone is going to choose your design and it’s gonna be part of their life for a long time. This doesn’t happen everyday. "It was a really smooth design process. The sisters are super nice, and our optimism and slapstick characters fitted really well into the project, so the designs came out naturally and easy." 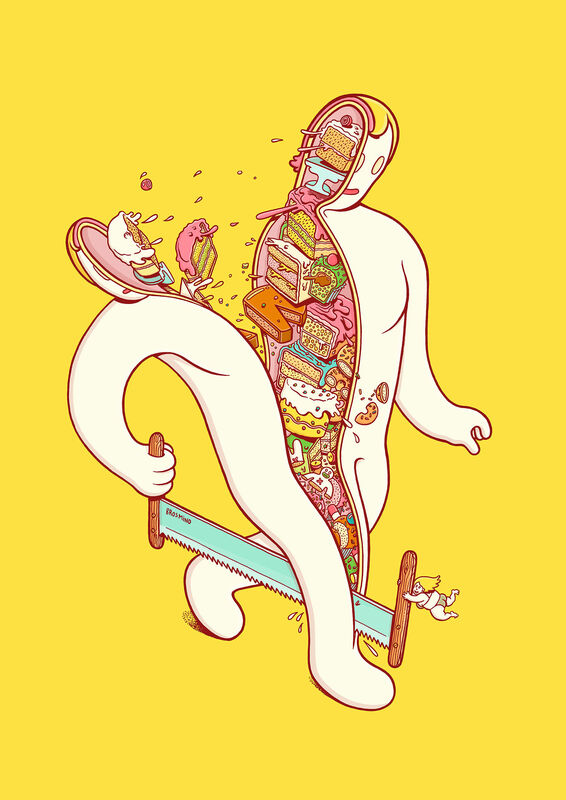 Those Brosmind characters can work everywhere, like Christmas exhibitions for Chinese malls or womens' canvas shoes. They can even work on record sleeve art, like this in this glorious commission for the band Gloriosa Rotonda. "Gloriosa Rotonda are a young band from our hometown and they already knew our work, so it was really easy to collaborate with them. The illustration was inspired by the concept behind the band's name, which is a kind of metaphor of the nonsense of our contemporary urban society. In this case we didn’t do only the cover, but the graphic design of the whole album. We had a lot of fun, and both the band and us are really happy with the result." One obvious place where Brosmind' toons work is in comics, and the brothers have plans to release more follow-ups to their 2012 one-shot Lydia Lopez is SHE, a spin-off of a specially created trailer/short film which the brothers worked on for Barcelona's OFFF Festival. 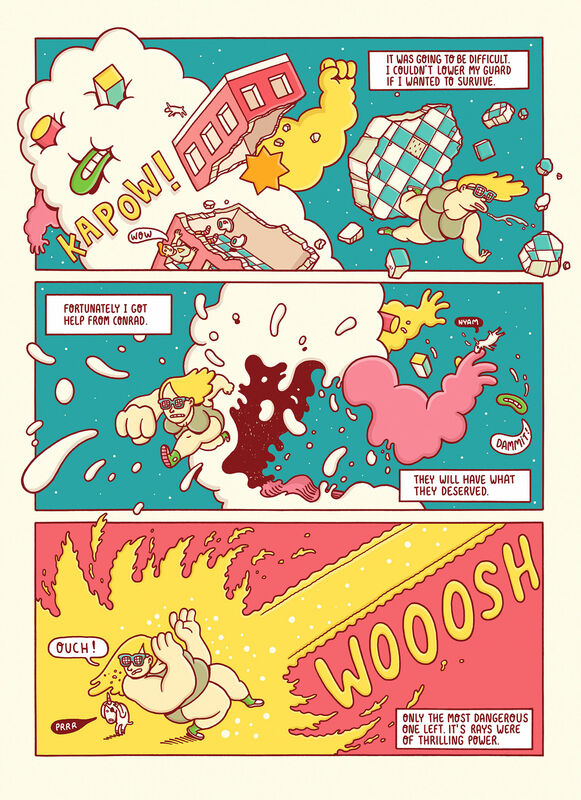 "We feel really comfortable doing comics and for sure will do more," they promise. "It's just a matter of finding the moment, as we always have a really busy agenda and comics require a lot of time. But definitely it's something that will happen in the near future. In fact, we are planning on a reboot of the Lydia Lopez universe. Hopefully we can share more info soon," they tease. 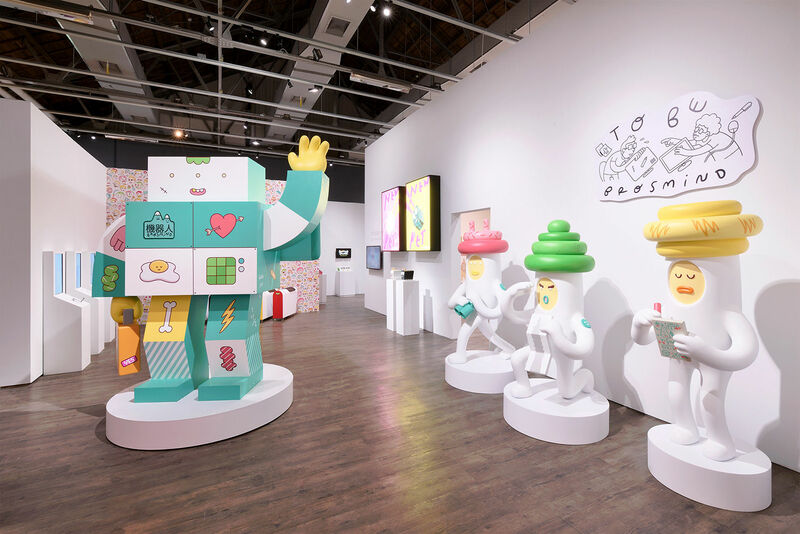 We can't wait, bros - here's hoping the Boom Boom Brosmind exhibition makes it to the UK soon. 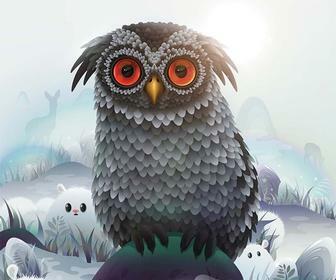 Read 14 character design tips by artists including Brosmind, Dan Woodger, Gavin Strange and others.